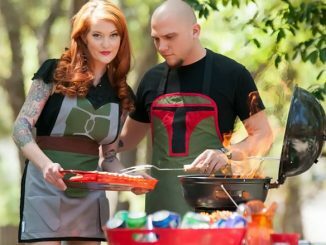 Ever wonder where your friends’ true allegiance lies when it comes to the adventures of Luke, Leia, Han, and Darth Vader? 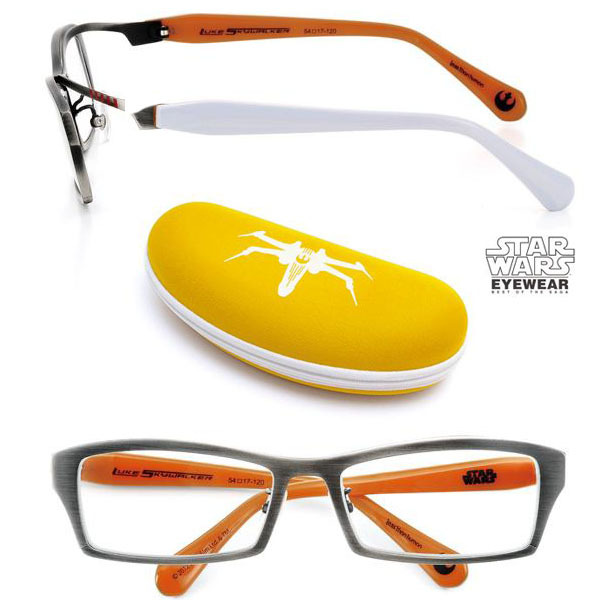 The Star Wars Eyewear makes it so easy that you don’t even have to be a Jedi to know if they prefer good or evil. 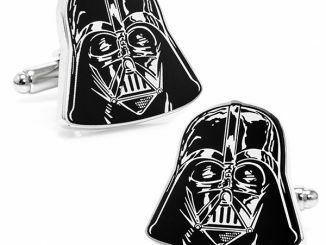 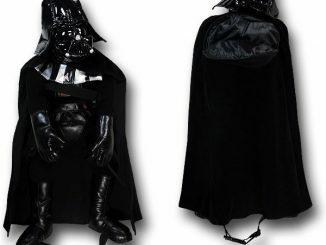 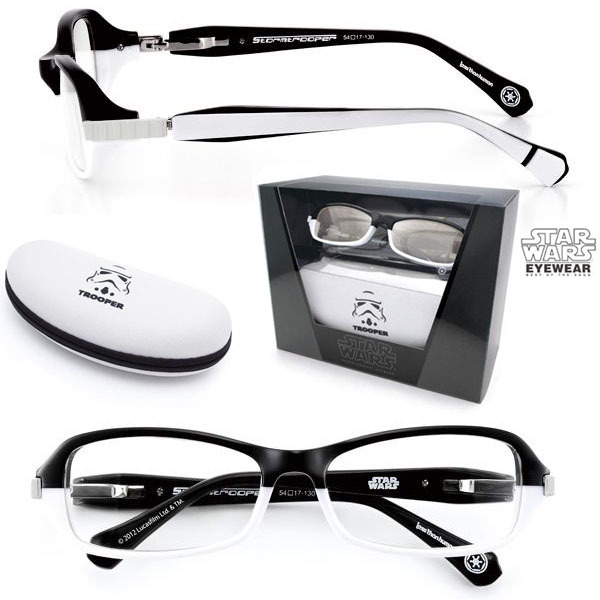 Those who bow to the power of the Dark Side will no doubt prefer the Stormtrooper glasses or the Darth Vader glasses. 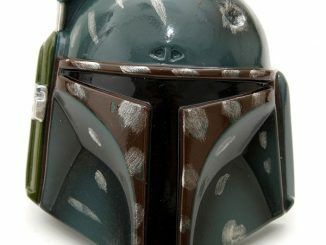 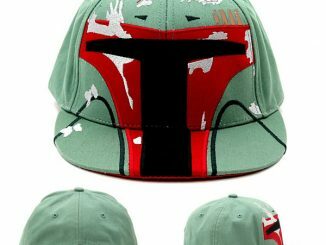 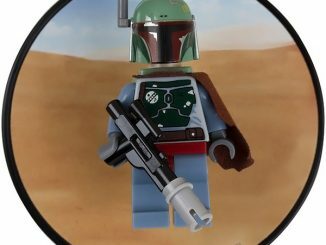 If the crowd you hang with is neither good nor evil but simply goes where the money is, then you can bet your favorite droid that Boba Fett is the style they crave. 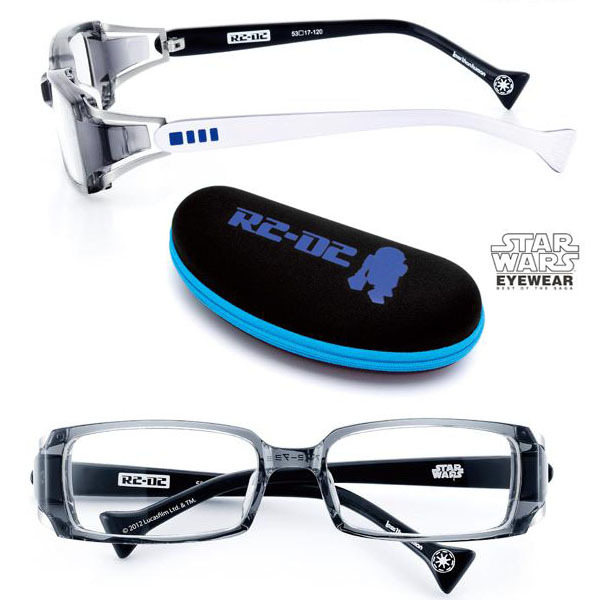 Finally, the warriors of the noble Republic will stand out with fashion frames that honor R2-D2 and Luke Skywalker… although I will admit the Skywalker frames aren’t really the coolest-looking things around. 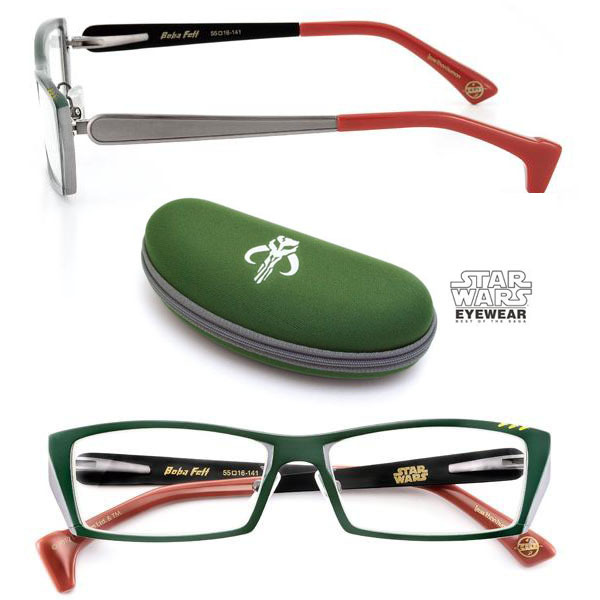 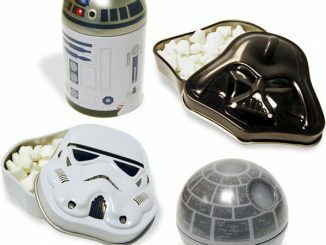 Beautifully crafted Star Wars glasses in 5 styles (Darth Vader, Luke Skywalker, R2-D2, Stormtrooper and Boba Fett). 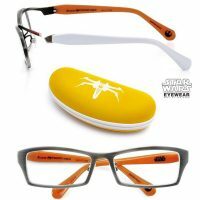 The subtle design features let you show your true colors, regardless of your setting. 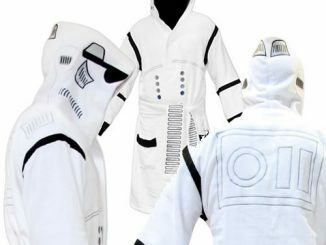 And when you pass another Star Wars fan on the street, you can nod in acknowledgement that you know whose side they’re on (or give them the stink-eye if they’re allegiance is to the dark side). 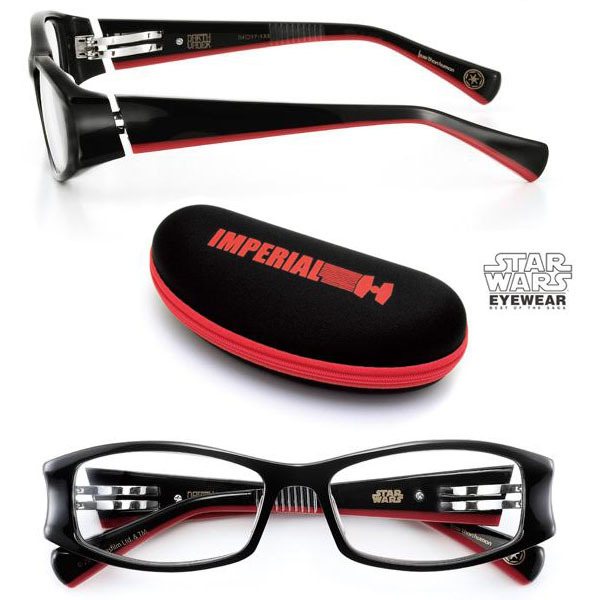 May the force be with you….is written on the inside cover of the case for an extra touch. 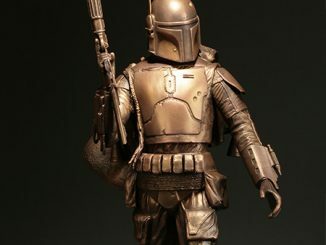 One quick word of warning. 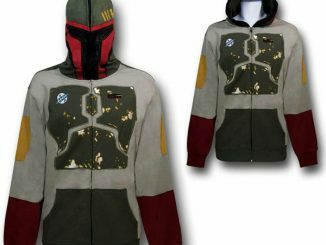 Your faith in the Force will be tested because you will definitely be paying for your fandom. 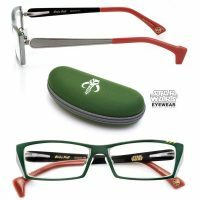 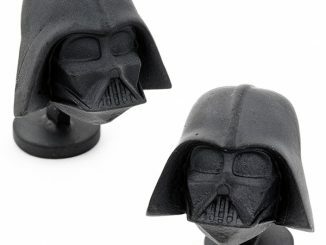 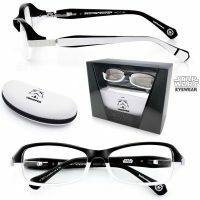 The Star Wars Eyewear is available for $499.99 each at Gizmine.com.